OVRDC is currently conducting a survey of the region’s schools about their knowledge of the Safe Routes to School program. The SRTS program provides federal funds to encourage and enable students in grades k-8 to walk or ride their bicycle to school. Since the program begin in 2008, walking and bicycling to school has increased in Ohio communities with active SRTS programs. A School Travel Plan (STP) is a written document that outlines a community’s intentions for enabling students to engage in active transportation (i.e. walking or bicycling) as they travel to and from school. 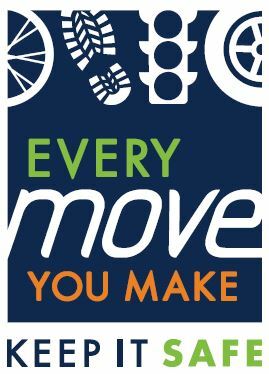 A comprehensive STP is created through a team-based approach that involves key community stakeholders and members of the public in both identifying barriers to active transportation and using the 5 Es — Engineering strategies; Education programs; Enforcement strategies, Encouragement activities and Evaluation — to address them. Letters with the survey were mailed out to all the schools in our region. If you are a school administrator in the OVRDC region you can complete the survey below or mail back in the paper survey. If you have any questions, please feel free to contact our office. Thank you for taking the time to help us collect this data.